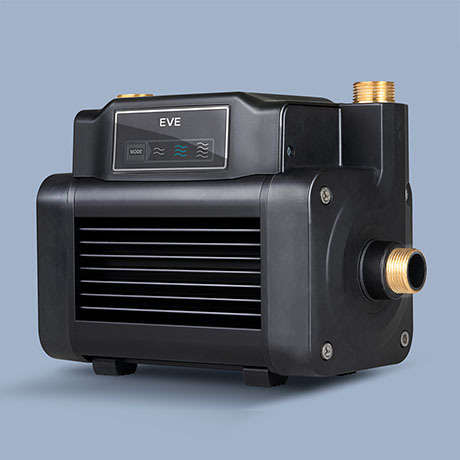 EVE is an intelligent, compact twin ended full house pump combining all the technology inside to fulfil your water performance needs. Utilising the latest brushless motor technology to dynamically vary the pump speed to adjust to your water usage, providing you with constant water pressure. Multiple sensors keep the pump running and protected in multiple installation types, including negative and positive head. EVE can be set to your desired output level, to fit a range of set up types, be it a single shower to a multi bathroom house.